Ashley is a museum tour guide who is excited because she’s recently started seeing a young, attractive Emergency Room doctor. Unfortunately, it’s because her date, Shad, keeps having bizarre accidents that end up needing medical attention. Her best friend, Samantha, runs a new age shop that offers traditional services such as psychic readings and tarot cards, as well as more secretive “aggressively karmic” acceleration opportunities. A true friend, she keeps trying to set up Ashley with as many prospective dates as possible, sending gentleman clients Ashley’s way under the pretense of “destiny”. Shad takes this prophesy too much to heart, and refuses to give up on Ashley even while destiny itself keeps telling him otherwise. 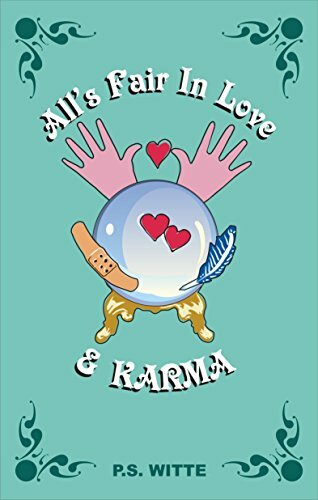 This book is a nod to all those who hear about dating disasters and go, “oh, so it’s about my love life?”; a commiseration with all the romance warriors who know that love takes a lot of work, a sense of humor and an aspirin or twelve.